11. “RUSSIA COLLUSION!” Russian collusion is perhaps the greatest hoax perpetrated on the American people. THERE IS NO COLLUSION! 09. CNN FALSELY reported that former FBI Director James Comey would dispute President Trump’s claim that he was told he is not under investigation. 08. Newsweek FALSELY reported that Polish First Lady Agata Kornhauser-Duda did not shake President Trump’s hand. 06. CNN FALSELY edited a video to make it appear President Trump defiantly overfed fish during a visit with the Japanese prime minister. Japanese prime minister actually led the way with the feeding. 05. Washington Post FALSELY reported the President’s massive sold-out rally in Pensacola, Florida was empty. Dishonest reporter showed picture of empty arena HOURS before crowd started pouring in. 04. TIME FALSELY reported that President Trump removed a bust of Martin Luther King, Jr. from the Oval Office. 03. CNN FALSELY reported that candidate Donald Trump and his son Donald J. Trump, Jr. had access to hacked documents from WikiLeaks. 02. ABC News’ Brian Ross CHOKES and sends markets in a downward spiral with false report about Michael Flynn testifying against President Trump. 01. The New York Times’ Paul Krugman claimed on the day of President Trump’s historic, landslide victory that the economy would never recover. This clip NEVER gets old! "No, I won't give you a question. Don't be RUDE. DON'T BE RUDE. You are FAKE NEWS." Knowing a little about Trump’s MO, I think there’s more to this than just naming the “winners”. I think the main goal is to get people saying, “But what about THIS story? You left out…” It’s a certainty that in any “favorites” list someone puts forth, there will be many, MANY people asking whey THEIR favorite whatever isn’t on the list. Same here. For every “winner” on the Fake News list, people will come up with 10 or 20 other examples that could just as easily be on the list. So if the media is hoping people will just forget about this after tonight, I’d say just the opposite is true: The list of “shoulda won!” stories will just grow and grow. He’s crazy like a fox. This is a list of POTUS’s next law suits. There was financial loss and harm done. There reports were intensional misleading. Class action suit against #2? #11 does not name a guilty source. CNN already on track to win next year too. Jim…Putin has a spot for you in the Russian newspaper Pravda, see how long you would last there? You need to get out of the news business because you would know news if it fell on your head. I have seen some terrific ones. This is one of my favorites too. Love it!!! Whoever put some of these together “took the lumps out”. You just can’t help but laugh. acosta is a little chihuahua! Trump goes after bigger fish like Krugman! He is a stable gemius! That’s news to us, Jim! Watched local news at 10pm on TV. Bank of America lost a bunch of money last year on Trumps tax cuts. And increased pollution will harm the health of citizens. I the ‘compliant’ voter ponders, if Trump’s tax cuts are retroactive where is my money. Spot on nimforman…..same with the Hollywood libs…..patting each other on the back with oscars and emmys. Damn…nimrodman…not enough coffee yet or too many thumbs. How about all the “black” awards…evidently think they can’t compete with others of a different color so have to pat themselves on the for being black. play stupid games, win stupid prizes. I always wondered where that came from. Great comment. Unlike the news it is not fake. Are you talking about any of the Hollyweird awards? No, sorry, I didn’t clarify. I’m talking about the other “soft” Nobel Prize awards in humanities and “soft sciences” such as economics (Krugman’s award). Prime example being Barky’s Nobel “Peace Prize”, awarded at a time when he had done nothing but talk, no actual accomplishments yet. Considering Obama qualifies as a warmonger and Instigator in Chief, I thought his Nobel Peace Prize extremely ironic. They should have waited, like they do in the Sciences, until the recipient is close to death and can’t misbehave afterwards (no lie there’s a story about one who would have got one except for his “questionable” but not illegal sexual proclivities). The Washed Compost must be confused with this past Golden Glob Awards Hack-fest. That was a huge flop as the Oscars will be. No, I don’t think the administration should be wasting their time on this, but yeah, this was pretty funny and entertaining! I think it probably took all of five minutes, and it’s worth the time, and the cries of ‘Big Whiny Baby!” to keep it out there. The entertainment value for us is just an extra bonus! He did it for us and because he loves to troll all those idiot fakes and phonies in the enemedia. Laser focus on the lying media….mission accomplished. HECK NO, IT’S IMPORTANT – CRITICAL. An Honest Press is a National Security issue!!! The press has been used as an arm of the rogue partisan intelligence community to UNDERMINE THE ELECTION PROCESS!!! The Press has covered for subversive terrorist-linked individuals – including Obama and the Clintons, Huma, the Awans and many others. Totally agree. While this event might have been fun for us, it was also extremely important for Trump to summarize just how bad reporting has been and how rotten and biased the media has become. Yes! Important like ignoring Jim Acosta who of late made his bid for the no. 1 spot on the hit “fake” list! Not! I think both he and M&M will be commiserating together over their being left out. Seriously? We just lost an election in Alabama because they drank the koolaid. Heck, that could actually be a weekly show with the amount of material being shoveled out on a daily basis! Wooooooow. Huge Congratulations to @CNN on an OVERWHELMING win for the #FakeNewsAwards . The trophy will be delivered to your shithole headquarters in 3-5 business days! “The most trusted name in Fake News” = hilarious! Instead of using James Earl Jones’ voice in that new tagline they could use Bart Simpson’s. Someone has to do this! The funniest thing is the WH Press Corps was expecting an Academy Awards type ceremony with little statues being handed out – so they stayed in the press room and waited…and waited….and pouted….and tweeted their displeasure. The President didn’t show up. The Press Secretary didn’t show up. There was just a list and it was posted on the GOP website which promptly crashed due to the massive interest….even the archive site crashed!!! That, my dear Treepers, is masterful Trolling! georgiafl, I think you get it. He turned it into a one-liner joke; a toss-away. Me? Oh, I’d a been tryin’ for an annual gala-glitz and hoorah show with red-pilled comedians doing acceptance speeches “on behalf of”, etc. But no. Our mighty LION played it for a quick laugh and moved on. He’s got more important things to do. OMG, what a President! Right – and he got no backtalk and didn’t give them a mic and a moment to spew propaganda. The supposedly Conservative media were just as nasty. Well, I hope he doesn’t stop (completely) like regs get it down to a ratio that could be counted without needing a computer. Don’t watch CNN but … you’ve got to be kidding me. Falsely attacking the president for overfeeding fish! How dumb can you get! This man explodes the heads of the condescending and elitist left, while keeping us regular, normal folk laughing all the way to the Bank (MAGA!) and voting booth! the Very Fake News Outlet Award – going to the news organization with the highest number of fake news submissions/violations. CNN would easily have won last year. PhD Brander Extraordinaire needs to push them off the cliff they willing marched to. From Day One of his candidacy to Debate One (the Me-Gyn Kelly Fox Debate in which she lied from her first false assertion disguised as a question.) 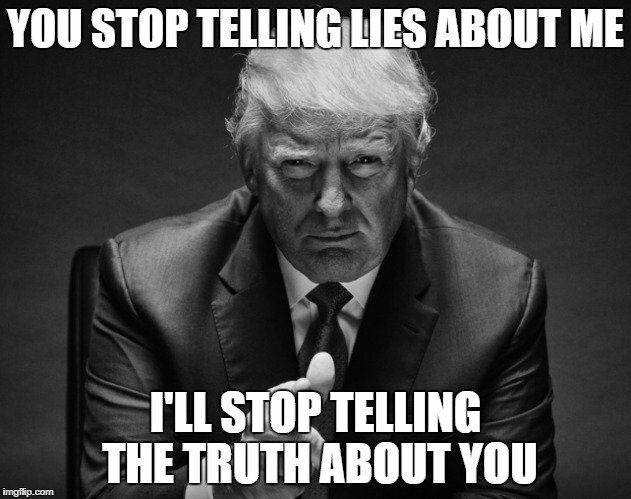 – Donald J. Trump has let the media know who is BOSS and that he will not cow or beg or respect them while they collude with Hillary campaign, lie about him, write fake/dishonest news stories! Since that time, @realDonaldTrump Twitter followers have increased from 5.95 Million 2/1/16 to 46.8 Million 1/18/18 (and an unequalled, amazingly successful first year as President). The MSM can’t match that! I hereby rename the Clinton News Network SHNN. The @#$%hole News Network. What do you think? The entire Corporate Media is FUBAR…they should be shut down totally there is NO saving grace it is all corrupted rubbish. Cable was sold to the public in the 70’s at $15./mo and no commercials. A gimmick to hook people and strip any moral code from the airwaves. It did give people a choice and media went straight to the gutter. Fake News Media is starting out 2018 with a bang. Trying to refute the medical report from Trump’s doctor. Sanjay Gupta should receive the award for worst medical reporting EVER. They should put up the list in the press room behind Sarah Sanders. Every day during the press conference it will show. Trump ditches correspondents dinner and does his own awards for the press. So Trump! Donaldus Magnamus (thoughts, I imagine, from the look on DJT’s face, during that hideous display of disrespect from the POS at the podium): You wait. I will crush you like the cockroach you are…. You know in the military who you will follow and who might get fragged. President Trump, and Captain Hayes of the USCGC Androscoggin I would follow to my grave. Both Captain Hayes and myself were rotated off the Andy before she went to Nam. Both of us having to much sea time in. Read that the Washington post doubled down on stupid by publishing the fake news that the Fake News Awards were a flop, while it is trending #1 on Google, Twitter and elsewhere. Last night I searched “Fake News Awards” on google and all of the liberal news sites’ headlines were claiming it was a flop with a link that “led nowhere.” None of them realized that the site had crashed because so many people were trying to access it at the same time. Trump is the first president who has learned to master the way the media posts so much fake & unverifiable “garbage”. Only those with discerning minds are able to sift through the rubble & find the truth. What isn’t fake on CNN isn’t news either, for the most part. I want to repeat something I posted from Rush Limbaugh yesterday. He had some scathing remarks for people in the MSM, said that they act the way they do because they really believe some of this stuff, and also believe that their OPINION really matters. It’s sad reading, but illuminating. Its really quite simple. Today’s MSM “journalists” and “reporters” are nothing more than paid leftist ideologues working 24/7/365 to create & control the national & global discussion on any given topic. They aren’t there to report the news. They are there to promote leftist ideology and any propaganda that supports same. They are the “hatchet men” of the political left, cut from the same cloth as Joseph Gobbels, Hitler’s Minister of Propaganda. They ARE Harvey Weinstein, writ large. Why did POTUS have to do this? Cuz of Alabama. Although they were chanting “Fake News” for an entire year, somehow or another, the message got lost between their lips and their brains, so Trump had to resend the message again. The problem isn’t President Trump….the problem is previous presidential administrations failure to deal with the North Korean problem….and now the problem is that a tiny, paranoid rogue nation has big firepower….courtesy of technology stolen from…us. And ‘the target’ now includes us….2300×2200 miles of target….not much accuracy required….just detonate it 300 miles up and 90% of us will be dead in 12 months.